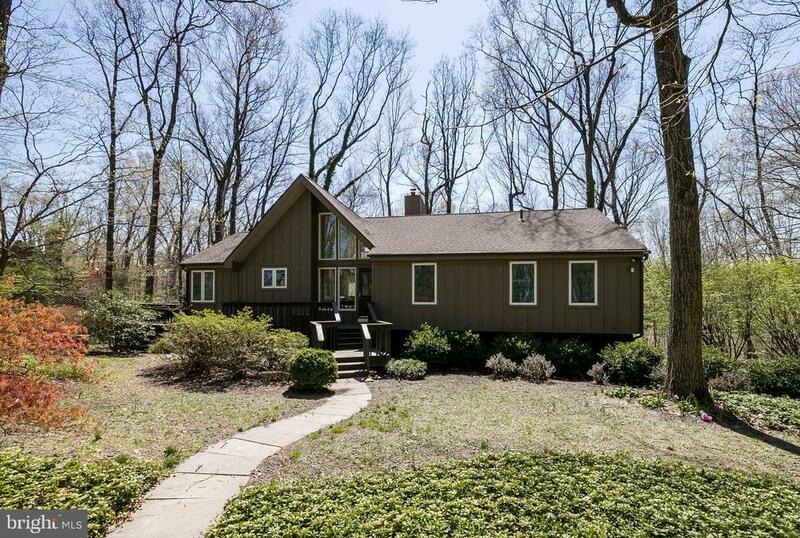 All Exton homes currently listed for sale in Exton as of 04/21/2019 are shown below. You can change the search criteria at any time by pressing the 'Change Search' button below. If you have any questions or you would like more information about any Exton homes for sale or other Exton real estate, please contact us and one of our knowledgeable Exton REALTORS® would be pleased to assist you. "INVESTOR SPECIAL! 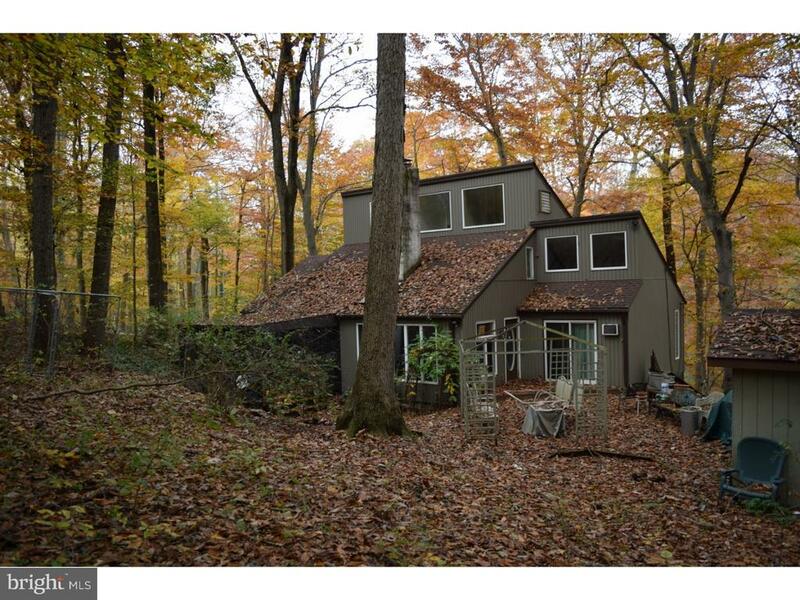 Custom built, 5 bedroom home on over 5 acres that can be subdividable into 2 more lots! The stately brick home has that Roman feel as you enter, with beautiful slate floors in the entrance hall, leading into a large stone walled family room with a fireplace and a fountain! The kitchen is also slate floored with brick enclosed appliances and another fountain. Both the kitchen and family room have Anderson double paned sliding doors, opening onto a large deck serenely overlooking the trees and pond. Off the kitchen is the formal dining room and large room, perfect for an office, library or music room. The 1st floor also contains the Master Suite, with its own deck overlooking the pool. Upstairs there are 4 more large bedrooms, with 2 full baths. The lower level has an overly large rec room , with a fireplace, and a possible in-law or Au Pair suite, or even another office if desired. Down here there are sliders leading to the pool, plenty of storage, and the door leading into the 2 car garage.. This home needs updating, love and attention, but for the right owner, it could be a dream house once again." "FORGET about the snow -- and start planning your SUMMER POOL PARTIES! A true jewel in the heart of the Marchwood area, this custom home offers luxury in an enviable location. Welcome to resort-style living & entertaining just minutes from all major routes/PA Turnpike/trains/shops & Downingtown East Schools! Cul-de-sac setting; 1.3+ acres; public water/sewer; no HOA! Front country Porch opens into a Reception Foyer w/marble flooring & a home w/a spacious open lay-out. Hardwood floors lead into the formal Dining Rm with a custom wet bar w/granite top, adjacent to the Living Rm/Den. The Eat-In Kitchen features all the epicurean amenities you crave: stainless steel appliances; double oven/5 burner stove w/ss vent; 2-tier breakfast bar island; recessed paneled cabinetry; granite counters; designer lighting; more! Large Breakfast Rm w/volume ceiling & dual skylights has transomed slider doors out to the expanded composite Deck w/steps down to the pool/yards. Oversized Family Rm was designed for both media/tv and gathering space, and its sun-filled walls of transomed windows & slider doors showcase the stunning outdoor beauty. Down the hall: private Office/Study; Powder Rm w/vessel sink; Mudrm with outside entrance; and huge 3-Car Garage w/separate storage rm. Upstairs the Master Suite is your own retreat: sizeable Bdrm; 2 walk-in closets; and WOW a newly renovated spa-like Full Bath w/NEW lux tile flooring; elegant curved soaking tub; dual quartz sinks; walk-in oversized shower with two shower heads/tiled walls with a raised wave pattern & bench/river stone floor. 4 more Bdrms (one en-suite w/its own Full Bath); a hall Full Bath; Valet Laundry Rm; staircase to the floored Attic w/dormered windows for more storage or future fun space! Walk-Out Finished Basement has more extra space for Rec/Game Rm; Fitness Rm; and second Laundry & renovated Full Bath (perfect for when you are enjoying the pool!). Outside are the idyllic gardens, woods, meandering brook, fire pit, springhou"
"Stunning Swedesford Chase home, professionally decorated, truly a model home you can simply move into. Every detail and aspect of this home shows the pride of ownership where no expense was spared. Professionally landscaped grounds with custom uplighting, this house is situated on one of the largest lots in the subdivision. Dramatic 2 story foyer with curved stairway sets the tone for the main floor. New hardwood floors and recessed lighting create the flow thru out while custom wainscoting accents create the rich look of the living room, dining room and study. Open concept, eat in kitchen with new sliders to the back deck, offers custom island, stainless steel appliances, granite countertops, ample cabinets with pantry for easy meal prep. The family room with vaulted ceiling and custom stone fireplace is a wonderful place to relax. Upgraded powder room, laundry room and 3 car garage with new doors with controllers complete this level. Two stair cases will allow you to ascend to the 2nd floor. Open the double doors to the master suite with recessed lighting, sitting and dressing area, walk in closet and master bathroom complete with soaking tub and shower. 3 generous size bedrooms and new hall bathroom complete this area. Wait till you see the lower level! Indoor mini basketball court, game room, fitness center, reading nook and custom candy bar with fridge will make lots of people very happy! Extra details: House has been professionally painted thru out and offers upgraded wood blinds. New roof, hot water heater, water softener system, allergy system on HVAC system plus house is under a 2-10 home buyers warranty which will be transferred to the buyers. Buy with confidence, this house has been pre-inspected!" "The Honey House is well known to lovers of local honey. 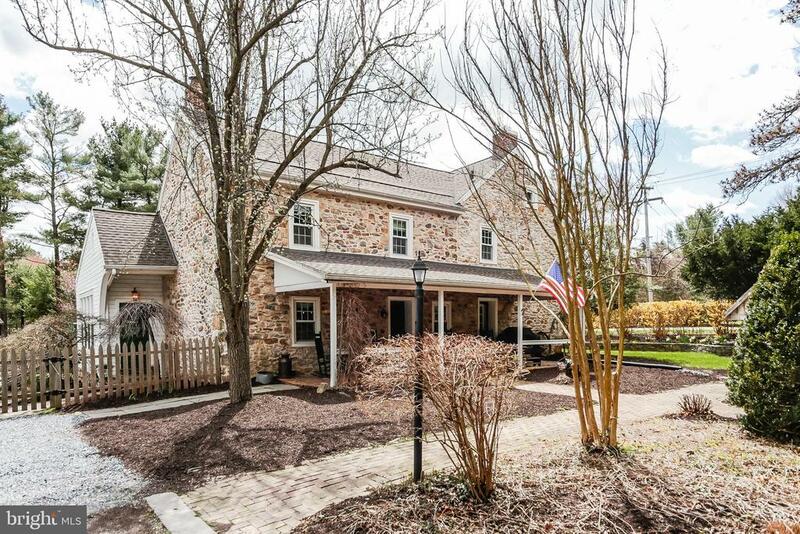 A part of the house dates back to the 1700s giving this 5 bedroom stone farmhouse in Exton a rich history and lots of charm. This lovely home is situated on a stunning 2.6 ac property and includes 2 ponds with exotic Koi and aeration, beautiful landscaping, specimen plantings and mature trees. Newer improvements include the roof, water heater, replacement windows, in-ground pool coping, fencing and the exterior stone has been re-pointed. The open floor plan, 4 fireplaces, elegant trim work, built-in cabinetry, wood floors make this home an ideal retreat filled with character. Five spacious bedrooms and three full baths are only minutes from Exton, Downingtown & West Chester conveniences. Outside, you are surrounded by serene views of the ponds, and the private pool area, that is the center of summer fun and relaxation. There are several sheds on the property that are negotiable and the partially finished, full basement provides the laundry area and an abundance of extra storage. If you are looking for a special and unique home with all the modern conveniences and size you need, this is the perfect home for you. 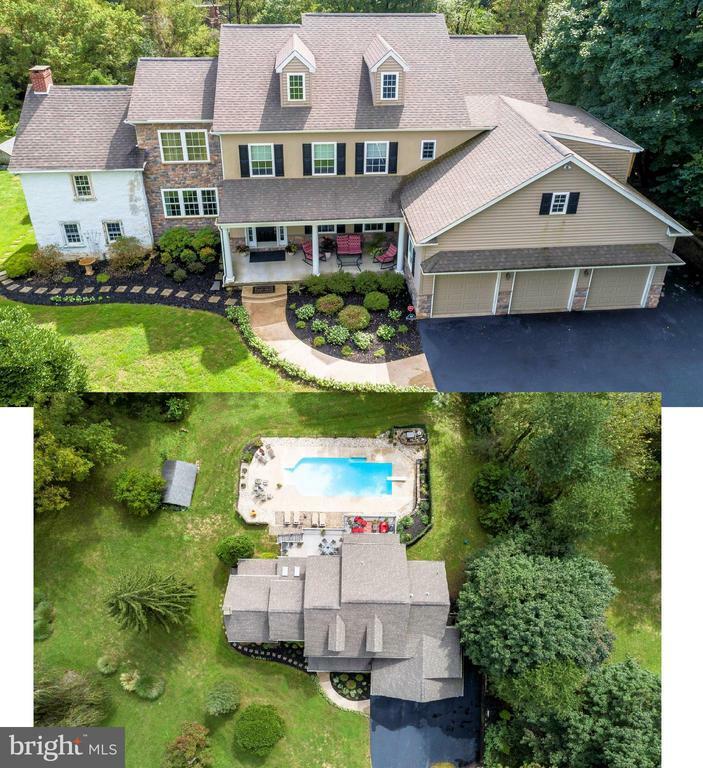 This extraordinary property is located in the award-winning Downingtown Schools and is close to shopping, dining, Marsh Creek & Pennypacker Swim Club, and convenient to Routes 100, 30 & the PA Turnpike. Come see this lovely home today, you will fall in love!" "Make it a point to view this turn-key home at a premier ~end of cul de sac~ location, with a rarely found covered deck for extended outdoor living space; Seller is ready to talk! This meticulously updated home boasts a spacious, flowing floor plan that makes sense for the way you live, with an abundance of updates and modern amenities! 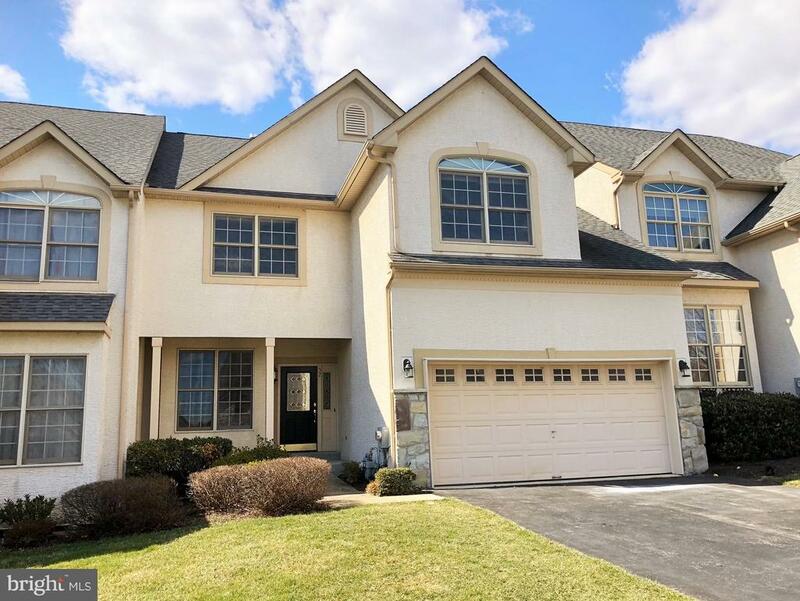 302 Horizon court is nestled at the end of a cul-de-sac in the sought after Swedesford Chase subdivision, in award winning West Chester Area School District. A 3-Car side entry garage leads into a family entrance catchall space with durable tile flooring, providing quick access to the kitchen when carrying a load of groceries, and a convenient place to drop coats and shoes. The kitchen provides a functional space to work while overlooking the breakfast room and spacious family room, and back yard. Formal dining and living rooms provide a classic backdrop for holidays and entertaining. A private study with built-in bookcases, and a powder room complete the main level. Upstairs is a spacious master retreat with hardwood floors, sitting area, makeup vanity, tranquil bathroom, and CUSTOM walk-in closet. Three nicely-sized additional bedrooms and hall bath with double vanity offer enough room for everyone! The finished basement provides a large open space that can easily transition through different life stages to serve many uses, plus a powder room for convenience, AND ample storage in the mechanical room. Outside, the large composite deck with awning overlooks the level rear yard. And with all these great features, it's the little things that set it apart. Upgraded details throughout that create an elevated style, while still being easily adaptable to your own personal taste. Don't miss valuable updates: young roof (2013), newer dual zone HVAC (2017), Andersen windows, and invisible electric fence! Recent stucco inspection reported no issues- ask agent for details and copy of the report. 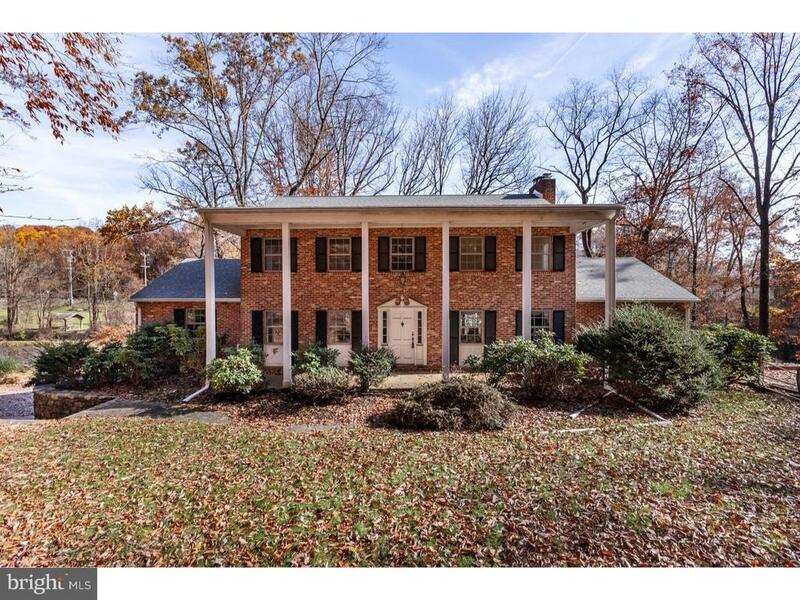 Other HUGE perks include close proximity to Routes"
"Beautiful 4 BD 2.5 Bath Spacious Brick Colonial in desireable Whitford Ridge. This home is move in ready! It sits on the end of a Cul de Sac and next to Open Space! One of the unique highlights is the large, 4 season Sunroom with its wall of windows bringing nature inside. Lower level has two Finished Areas w/ Bilco Door to outside as well as a large Unfinished area with tons of storage. Exit to the Deck from both the Kitchen & Sunroom. Most rooms recently painted. Updated Kitchen w/ new Center Island w/ Granite, newer appliances (Dishwasher, Stove & Oven), Updated Lighting Fixtures in Foyer, Kitchen & Dining Rm, Refinished Hardwoods in 2019. Remodeled Master Bath w/ Seamless Shower w/ Stone floor, Garden Tub, Granite Countertop, Tile floor & KraftMaid Cabinetry. Updated Powder Rm 2015. Zoned Heat w/ One Heater installed in 2016, the other in 2007. Solar Panels installed 2016. Exterior Powerwashed 2019. So convenient to lots of shopping & all major roads. A wonderful place to call Home!" "Live where you work and work where you live! LiveWork in Eagleview gives you a unique opportunity to own a mixed use property that you can live and work in yourself, or lease out either the commercial or residential space as an investment property. If you would rather own it as an investment, both the residential and commercial unit are currently leased out.. 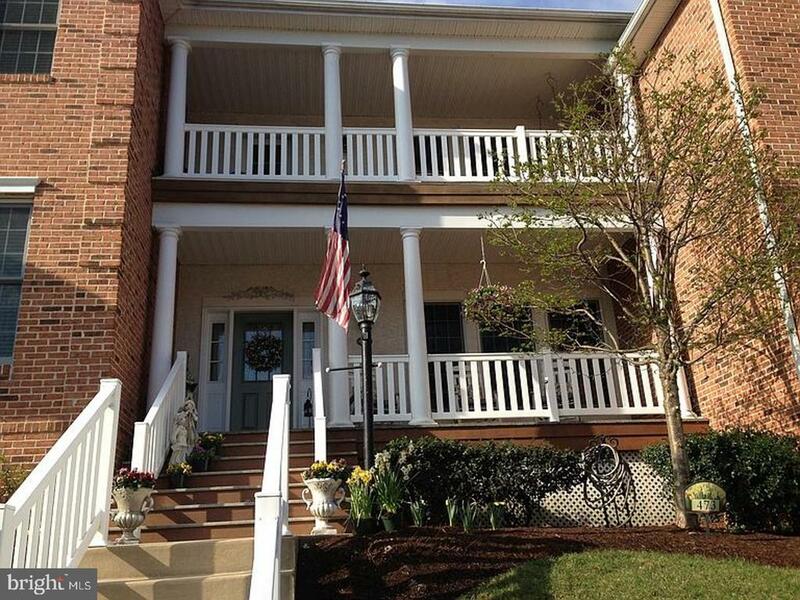 This beautiful property overlooks the vibrant Eagleview Town Center. The fitted out commercial space is 1000 square feet, consisting of hardwood floors, powder room, and a generous basement, and would be the perfect spot to open any type of business. The residential unit consists of 3 bedrooms and 2.5 baths. Enter the hardwood floor foyer with carpet in the great room and dining room. The kitchen and laundry each have linoleum. The upstairs bedrooms are all carpeted and provide a nice amount of natural light. Enjoy the master suite balcony and the covered rear patio. Eagleview provides it all. Shops, restaurants, walking and bike trails, parks, swimming pools, athletic fields, and more. A friendly, sought-out community that is the talk of the town. With the summer concert and movie series Eagleview is the place to be. See what all the fuss is about and join the Eagleview community its a LIFE STYLE!!" "Traditional Style home at 503 Anthonys Drive, Exton, PA is a Residential Single Famil property with 5 bedroom(s) and 3 full and 1 half bathroom(s), built in 1999 and is approximately 4455 square feet of living space"
"Welcome to Lennar at Waterloo Reserve located at the old Waterloo Gardens in the heart of Exton. Now Open On Site! This luxurious first floor master bedroom home features a gourmet kitchen, hickory wood floors and more. Entertain in this open concept carriage home, work in the private study or spend more time traveling and less time doing yard work. The community features a playground, walking paths and community entertainment at Miller Park. Minutes away from the Whitford and Exton Train Station, Whitford Country Club, Downtown shopping and restaurants, major roadways and more. Located in highly coveted West Chester School District. Schedule an appointment today and ask about our quick-move ins! Pictures are not of list home but represent the same floor plan*." "Welcome to Waterloo Reserve situated on the old Waterloo Gardens in the heart of Exton. Now Open On Site! This luxurious 2,615 square foot home features a tree-lined backyard, 2 story living room, black granite fireplace and gourmet kitchen with morning fog backsplash and moon white granite. Entertain in this open concept carriage home and spend more time traveling and less time doing yard work. The community features a playground, walking paths and community entertainment at Miller Park. Minutes away from the Whitford and Exton Train Station, Whitford Country Club, Downtown shopping and restaurants, major roadways and more. Located in highly coveted West Chester School District. Schedule an appointment today! Pictures are not of list home but represent the same floor plan*." "Unbelievable incentive for a quick sale - ask for more info! Over 80k in upgrades built into this home. 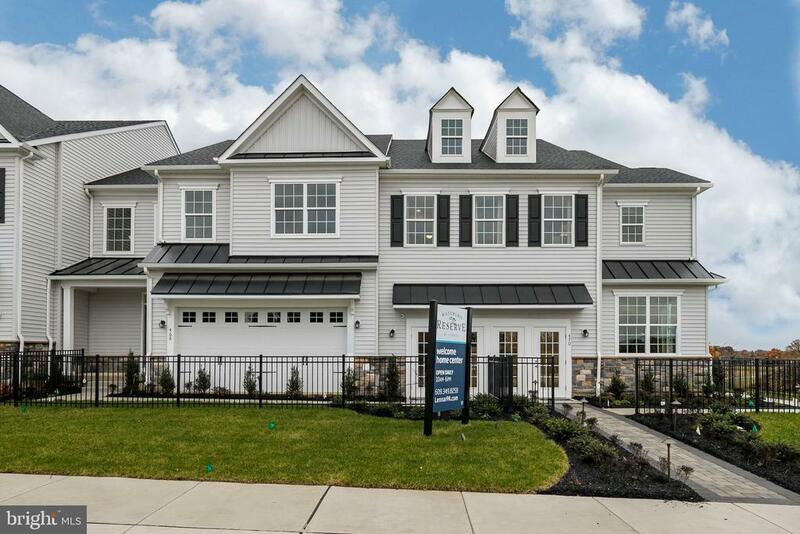 Ready to move in, new construction in the heart of Exton. The Ridgeway Grande end unit, with all the finest upgrades offered by Lennar, one of America's leading Home builders since 1954. If you are looking to downsize, but want the luxury of fine living, this is the one for you! Open floor plan with morning room, maintenance free deck and 3 spacious bedrooms upstairs. Kitchen has upgraded level 5 shaker style cabinets with dovetail drawers, cushion close doors, beautiful quartz countertops, under cabinet lighting and more. Hardwood floors on main level. 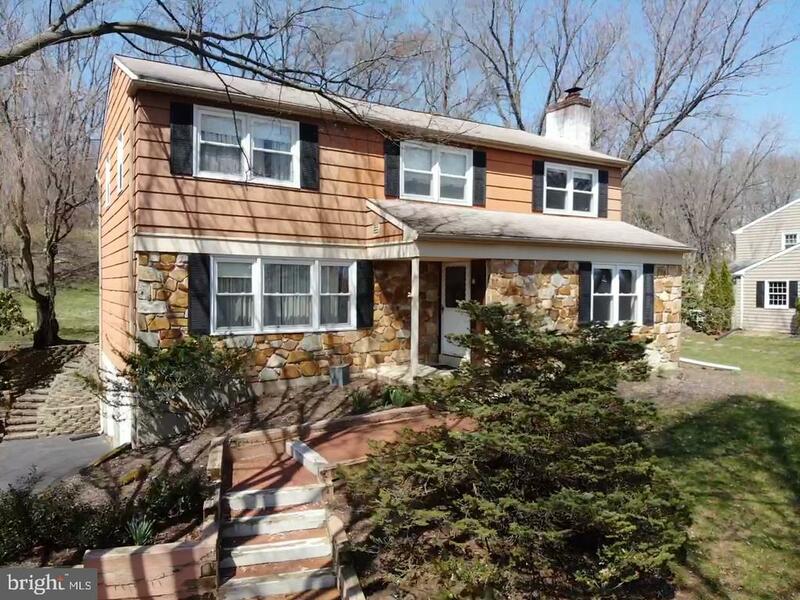 All this in an incredible location, minutes to 3 train stations for a SEPTA ride into Philly, or AMTRAK ride into NY City. Around the corner from plenty of dining, shopping and entertainment options. A small, welcoming neighborhood tucked away like an oasis. This is the lifestyle change you were looking for! Have easy access to theatre/movies, play a round of golf at the local country club, make your restaurant reservations in nearby charming West Chester, named among the 100 best places to live in America. Nature not too far away - Enjoy biking on nearby Chester Valley or Struble Trails, boating and other activities at Marsh Creek lake, only 15 mins away. Upstairs is the elegant master suite w/tray ceiling, walk in closet and recessed lights. 2 additional bedrooms with Hall Bath and a Laundry room complete the second level. The foyer upstairs is open to the 2 story Living room. A large walk-out unfinished basement for storage, if you are downsizing from a large home, or waiting to be finished with a 3 piece bath rough in, if you need additional living space. Highly rated West Chester schools. Move in to this worry free brand new construction that is covered by builder warranties. Schedule your showing today! Incredible savings if you act quick!" "Yes it IS a dream come true! Your own custom-built Hankin home in the sought-after ~Woodlark Farm~ community! In the heart of Exton---neighboring all your favorite shopping, dining, parks, & FUN~..as well as Rtes 100/113/401/202 & trains & just 3 miles to the PA Turnpike! Downingtown East Schools & close to STEM! Gorgeous cul-de-sac setting on approx. a half-acre that includes flat, grassy yards accented by landscaping & trees. A beautiful south-facing stone fa~ade & front porch welcome you into the soaring two-story Reception Foyer & first floor replete with hardwood floors. Such a fabulous open lay-out! The elegant Dining Room flows into the spacious sun-filled Living Room. Adjacent is the sizable Office/Study with french doors for added privacy. The newly enhanced Kitchen is ideal for both the home-chef & for entertaining! Its classic Shaker cabinetry AND gleaming onyx granite counters AND brushed nickel fixtures all combine for a stunning contemporary style! PLUS: new stainless steel range/oven; tile floors; bonus cabinets & counters extending opposite the bumped-out Breakfast Area; large pantry; more! The oversized Family Room showcases a cathedral ceiling with skylights, ceiling fan, and striking brick-mantled fireplace. Do not miss the double door set out to the Deck & paver Patio & park-like yards! Also on this floor is the Powder Room; the large Laundry/Mudroom with basin sink and bonus coat closet/pantry; and the inside access to the 2-Car Garage with extra space for storage/work area and new garage doors. The hardwood floors continue upstairs, where the Master Suite was thoughtfully designed: large Master Bedroom; walk-in Dressing Room/Closet with space extending over the garage; and an opulent updated Master Bath with double-sink vanity with granite counter, a tiled soaking tub, and a distinctive glass block walk-in shower. Down the hall is a cozy Loft area; 3 more Bedrooms all with ample closets; and a hall Full Bath with granite vanity counter & textur"
"Welcome to this 4 bedroom 3 bathroom well maintained beautiful home in the center of it all. New Semco windows, new doors, new insulated garage doors new deck,newer roof, new heating and air-conditioning system , newly renovated master bathroom with Corian shower, updated guest bathroom and a expanded paved driveway for additional parking. Partial finished basement with a walk out. The home is close to YMCA, shopping, restaurants and more." "It's like living in the Poconos! 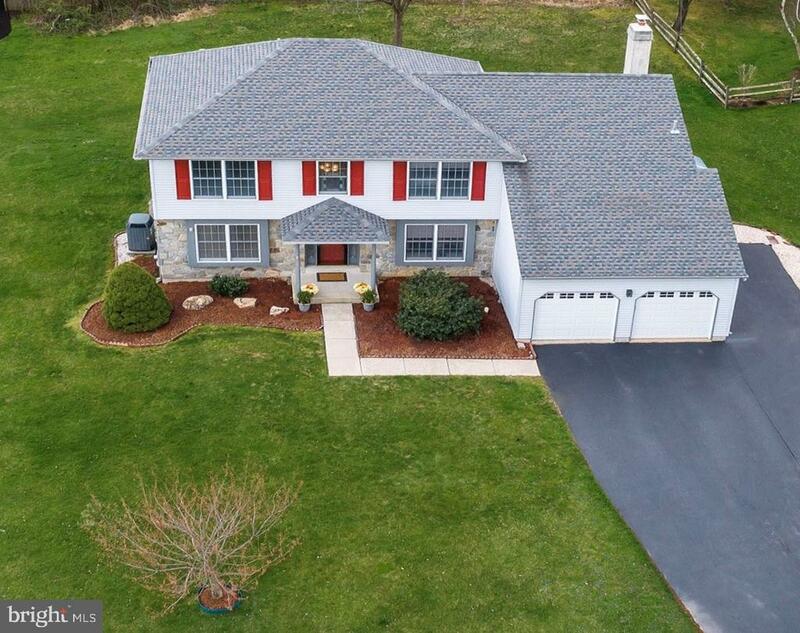 Rare opportunity to own a home in Pine Ridge, located in West Whiteland township and so close to the Whitford train station, shopping and schools. Many updates include: Roof, Hardie Board Siding, Windows, Kitchen w/Quartz Countertops, Stainless Appliances. Vaulted great room with a wall of windows, 3 bedrooms and 2 full baths upstairs. Lower level has 4th bedroom, family room, storage room full bath and access to the garage. The home has been freshened up before hitting the market including paint, some new carpets, refinishing wood floors, etc. so it it be turn key for the lucky new buyer. Lower level would make a great in-law suite, there is a large family room, bedroom, full bath and bonus room that can be great storage or craft room. Won't last, make your appointment today!" "This 9.7 Acre Park Like Property Has 2 conforming Residences and is Also Zoned I2 Commercial. This Property Has Great Potential For Private Ownership Or Commercial Businesses. In Addition There Is A Stocked Trout Stream On The Property." "Lovely, upgraded 3 bed, 2 1/2 bath Ashford carriage home on quiet cul-de-sac. Covered front porch leads to foyer with turned staircase and 9 ft. 1st flr ceilings. Gourmet kit has a sunny breakfast area. hardwood flrs, Corian ounters and 42 custom cabinetry. Relax in the dramatic Fam Rm with 2-sty window wall, marble see-thru F/P, recessed lighting and triple french doors to enlarged deck overlooking private, spacious rear yard backing to open space. Adjacent Liv Rm with marble F/P and Dining Rm provide versatile entertainment possibilities. Second floor loft makes a perfect office or quiet space. Master Bedrm retreat has a vaulted ceiling,and walk-in plus mirrored double closet. Exceptional Master Bath has custom ceramic tile, clear glass shower, double vanity, jetted tub, linen closet and separate commode rm. Hardwood flrs on 1st floor, newer carpeting in Family rm, stairs, loft and two bedrms. For even more living space, the basement with large egress window is just waiting to be finished. Great outdoor living with tennis courts, playgrounds, sidewalks plus walk or bike to Chester Valley Multi-use trail. Minutes from Paoli and Exton train stations, Exton Mall, Main Street at Exton, Great Valley Corporate Center, fine restaurants an shops. All in award winning Great Valley School System. Stucco has been tested and remediated!!" "Welcome to all the comforts of home. Enter the foyer and look to see the beauty captured in every room. A beautiful, upgraded Kitchen, every cooks dream with a brand new Stainless Steel Refrigerator and a Stainless Steel Microwave, the Great Room featuring Plantation Shutters and a Marble/Gas Fireplace, cozy as can be, the formal Dining Room with hand painted walls and columns, a definite WOW! Large windows to view the beauty outside that only Eagleview knows. Hardwood floors, and Crown Molding throughout the entire first floor. Hardwired stereo piped into the Great Room, Dining Room and Master Bedroom is sure to please. Hardwired Security System too! A large Master Suite with Tray Ceiling invites the most weary to rest and relaxation, featuring a walk-in closet, Master Bath with soak-in Garden Tub and separate shower offering total privacy. Enjoy the ease of traveling just outside the bedroom for the laundry center. Enter the finished basement with custom built Chicago Bar, gorgeous pool table for all your family fun and storage to boot! Finally relax outside on your choice of a lovely patio off the Great Room or choose relaxing o n one of your two porches, one lower and of course the beautiful upper porch to view the beauty of the countryside directly across the street, including a view of the pool! The definition of a MUST SEE home!" "A RARE FIND!! 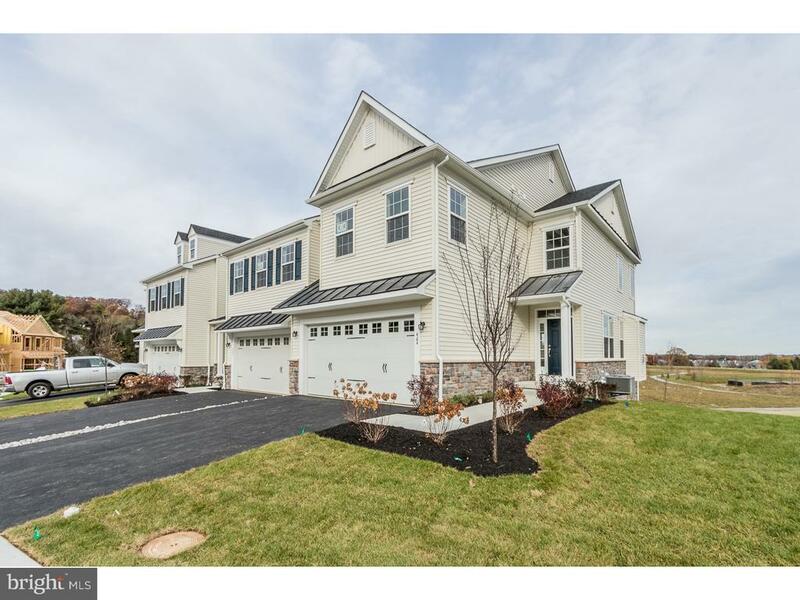 Low taxes, 5BED 2.5BATH single-family detached home in West Chester School District for under $400k!! This beautiful colonial home has been cherished lovingly by its original owners to provide the perfect opportunity for its new homeowners to come and make it their own. 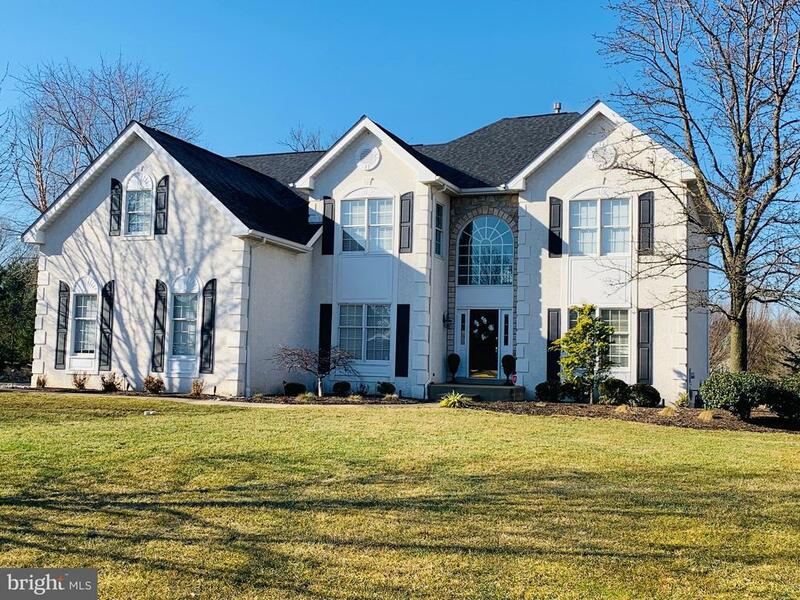 Located in the quiet neighborhood of Whitford hills and the highly sought-after West Chester Area School District, this home is ideal for a growing family. Upon entry, you are greeted with a large formal living area that flows nicely into the dining room with picturesque views of the private patio and backyard. Continue through to the eat-in kitchen area with hardwood floors and maintenance free Corian counter-tops. Off the kitchen is a spacious family room with a wonderful wood-burning fireplace. A mudroom off the right side of the house with half bath and laundry room will complete this level. As you head upstairs you will notice 4 generously sized bedrooms with full hallway bath and additionally a spacious master bedroom with en suite full bath and walk-in closet. 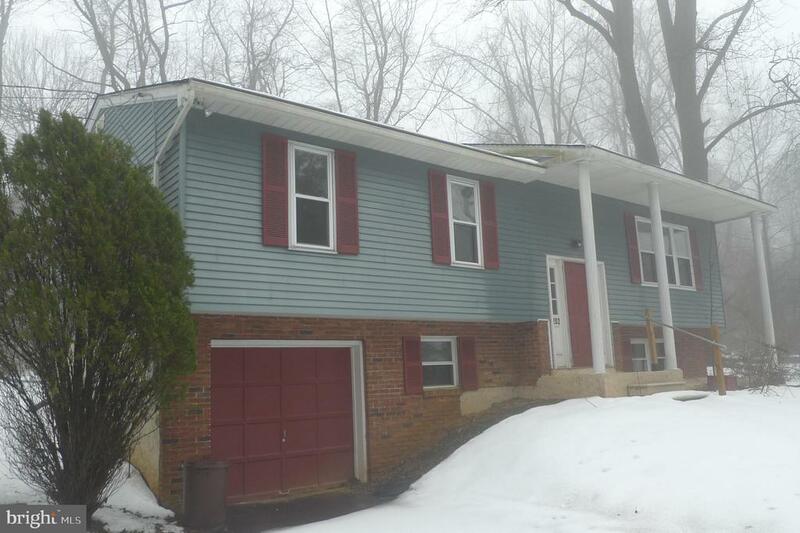 This home offers a large semi-finished basement with access to the two-car garage. All carpets have been replaced this week with a plush and neutrual color carpet. Outback of the property, you will find a private backyard and a beautiful stone patio. 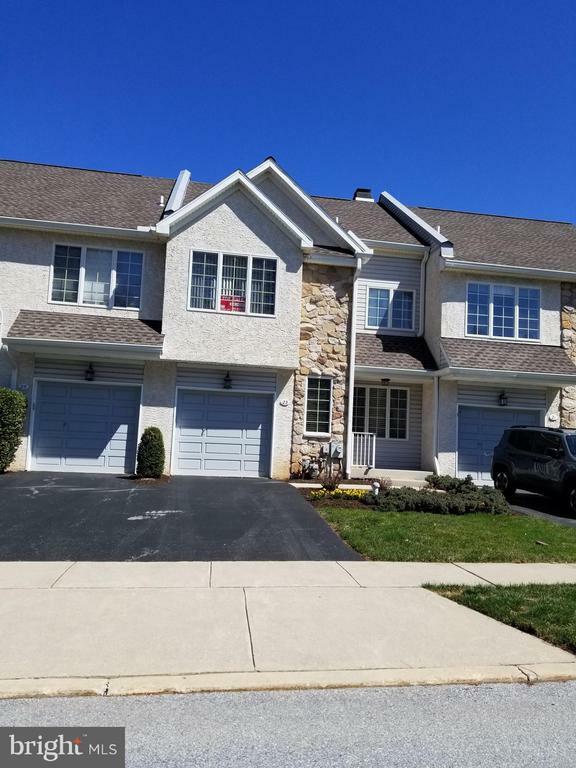 Where else are you able to find such a wonderful home close to Exton shopping and tons of great restaurants, all in a beautiful family-oriented neighborhood for under $400k? Come and make this charming home yours where you and your family can grow and create new memories you will cherish forever." "Set on a private .96-acre lot, this beautiful home offers plenty of space and privacy. Inside, soaring windows and an open-plan concept create a bright and welcoming space a wide range of buyers are sure to love. 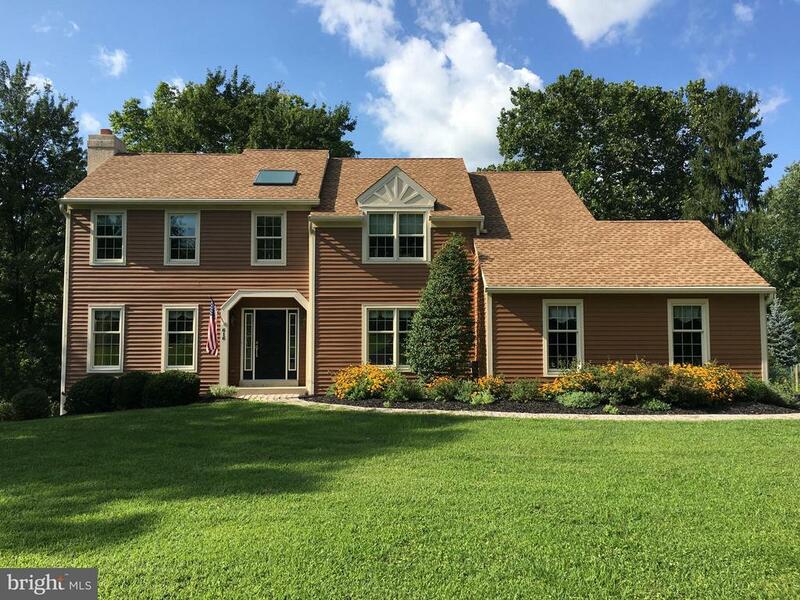 This Wonderful Custom Three Bedroom,Two Bath Contemporary Cape Has Many Amenities to offer. Starting with a great two sided free standing Fireplace in great room, Three Zoned Oil heat & Hot Water Baseboard Heat With Passive Solar Heat As Well. Cathedral Ceilings,Ceiling Fans,Neutral Decor With Neutral Rugs. Lots Of Anderson Windows let in Lots Of Light. Great Location, Short distance from Whitford Train Station, Set On A Hill With large side Deck, Screened Porch, 2 car garage & Large 1 acre Wooded Lot offers a ton of privacy." 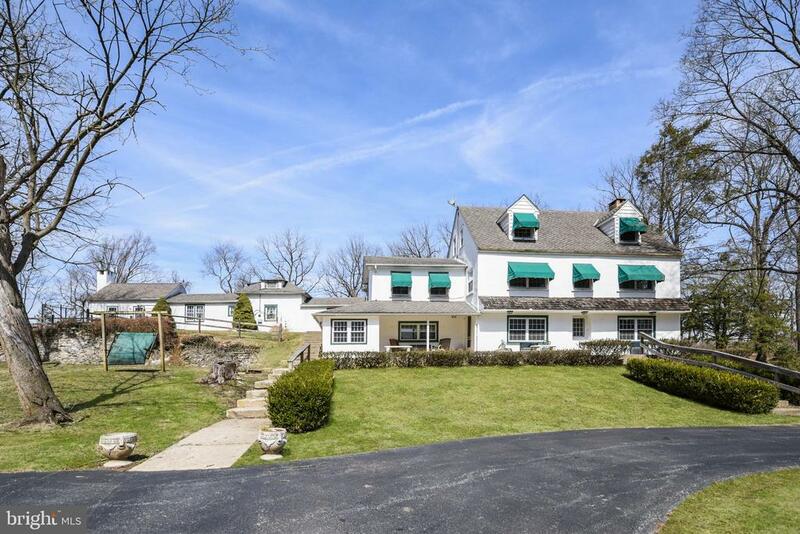 "Ideal location in the Downingtown school district on over one acre. Dining room has SGD to deck. Lower level has large family room with stone woodburning fireplace plus wet bar area with cabinetry. There is an area that could be used as an office adjacent to the laundry room." "Very Desirable location in the community of Evian ! Close to all area amenities and easy access to all major highways! This 3 bedroom , 2 1/2 bath townhouse is freshly painted and newly carpeted on the main level and features a wood burning F/P in the living room, eat in kitchen with new range, dishwasher and bay window, formal dining room w/sliders to rear deck (Freshly painted) and very private view, overlooking wooded area! The upper level features a master bedroom suite with walk-in closet , 2 additional bedrooms and hall bath , as well as laundry area. Economical gas heat and central air conditioning (Less than 2 years old)and 2year old Hot Water heater, along with a 1 car attached garage make this a perfect option for your 1st home or as a downsize home !!"